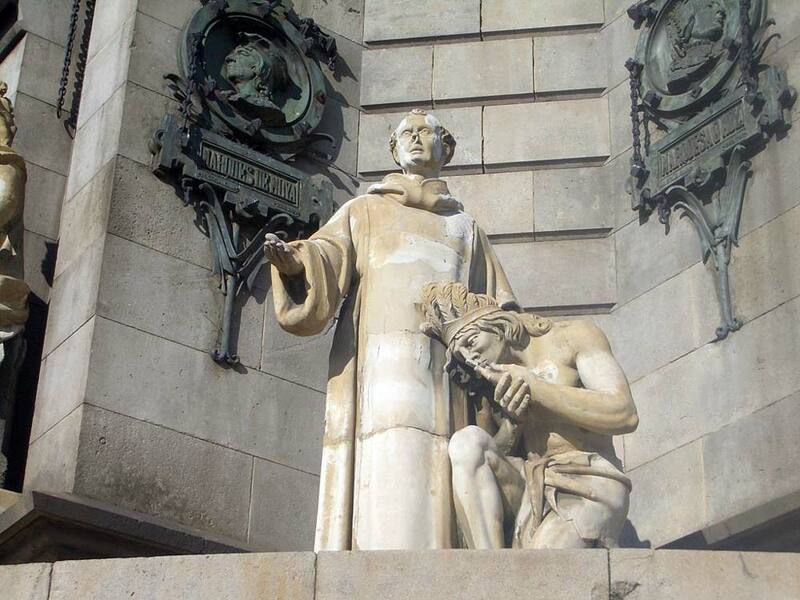 This renowned monument commemorates Christopher Columbus. It is located at the Southern end of the Ramblas in Barcelona, Spain. The towering monument stands at 196 feet. The sculpture itself is a statue above a cast-iron column. Christopher Columbus stands at the top, his arm outstretched pointing towards the ocean. He holds a scroll in his left hand. The world “tierra,” which means land, is inscribed on the column. 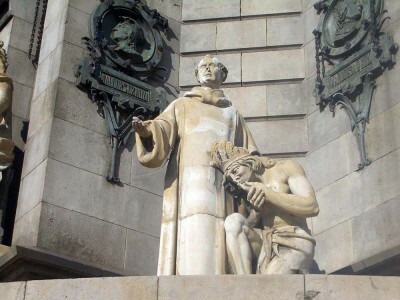 The statue was sculpted by Rafael Atche. Four seated figures surround the monument. The seated figures represent the realms of Spain. Four standing figures stand between these and they represent people that were directly involved in making the voyage possible, or who had gone themselves. There are also portrait medallions which represent people that Columbus was related to. The monument itself is thoroughly decorated with medallions, reliefs and other accents which represent certain moments, people and places that are all related to each other. Inside the monument, there is a lift which takes you to the top. There is a viewing gallery in the sphere that represents the world. The monument is located where Columbus arrived a year after discovering the Americas when he was greeted by the King and Queen of Spain. The site of the monument may also have to do with where Columbus settled after leaving Portugal. The idea for this monument was devised in the 19th century, still it did not come to fruition until the year that Barcelona was chosen to host the World Expo in 1888. Before it happened, the idea gained some political traction and a contest was held for the best design. This was won by Catalan Gaietà Buigas. The monument was finished six years after it started, just in time for the World Expo.